Saint Joseph Missouri Martial Arts | Aikido In St. Joe, Mo. St. Joseph, Mo. Aikido Club of Saint Joe, Mo. St. Joseph Mo Aikido Club meets every Wednesday at 7:00 p.m. The movements of Aikido are soft and unforced. This softness, however, comes only as a result of hard, rigorous training. The severity of traditional Japanese martial arts serves as a foundation for Aikido. The movements typified by atemi (striking) and Irimi (entering) are used to check one’s opponent for an instant. However, the skills we practice everyday include in general the secrets of every conceivable attack and defense. Aikido organizes movement logical and without force; the distinctive feature of Aikido is that there is no opposition to the movement s of Aikido ad that there is no opposition to the movements of Nature. From the very essence of these unforced, natural movements, it follows that there can be no competitive matches in Aikido practice. If one practice with an ego for winning then force is bound to emerge. Like the progress of waves spreading outward from a center, Aikido too is spreading in great rings throughout society. 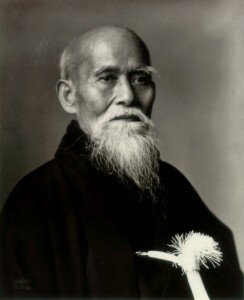 The principles of Aikido practice depend on the repetitious drilling of techniques, thereby implanting these movements firmly in the mind and the body, hopefully to awaken a response in the deepest heats of human beings. The number of students, women, children and older people in Aikido is increasing because these training methods in Aikido is increasing because these training methods enable each to train according to his own particular needs and limitations. Everyone. no matter what his age or previous experience, can find satisfaction in Aikido.